Book a private dinner at our place. We'll decorate, cook, serve and clean! All you have to do is relax and enjoy a locally grown meal with your loved ones. Very limited dates available. Email us to today to learn more. 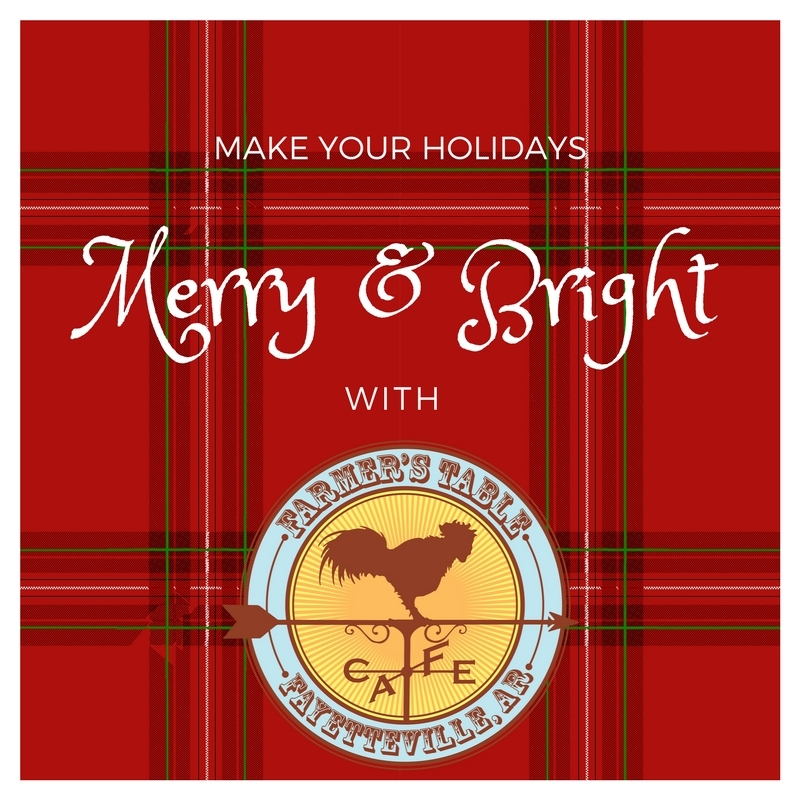 We are offering a holiday cater menu of side items, breads, desserts, salads, and more! Order by December 15 for pick-up 12/22-24. To order, email farmerstablecafe@gmail.com or come into cafe and fill out an order form! We've also got you covered for gifts! Give the gift of local food with a Farmer's Table gift certificate. We also sell our special Farmer's Table dos hermanos coffee by the pound- beans or ground. We thank you from the bottom of our hearts for your love and support in 2017. OPENING AT 10AM SUNDAY OCTOBER 15!